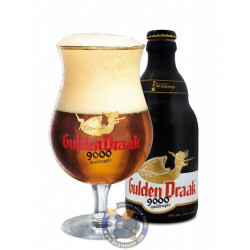 Gulden Draak 9000 Quadrupel 10,5°-is delivered worldwide. The original Gulden Draak now has a stablemate of real stature: Gulden Draak Quadruple. 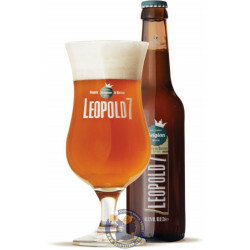 As you may know, the beer from the highly-esteemed Belgian craft brewery Van Steenberge has already made a name for itself and is recognised by many beer enthusiasts for its high qualities. 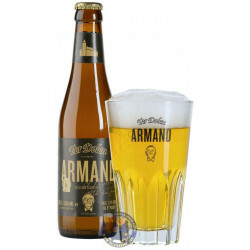 It has a palette of rich and complex flavours based on three different malts, amounting to more than four times the quantity used in a Pils beer. Jacopo Maria U. from Roma bought this product recently. 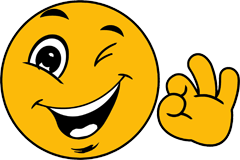 And 29 other customers have bought also this product, and love it. 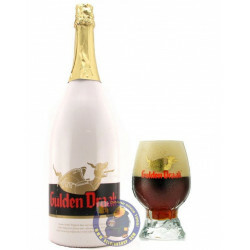 Gulden Draak, lonely at the top for 25 years, now gets company The birthday present: Gulden Draak 9000 Quadruple, an enrichment of the Gulden Draak range. An ode to the past and to the city of (9000) GHENT The Gulden Draak is named after the gilded statue on top of the belltower of Ghent. 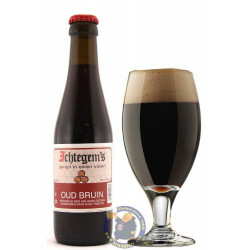 Such eminent symbol, that has been standing firm for over 6 centuries, deserves equally grand beers. 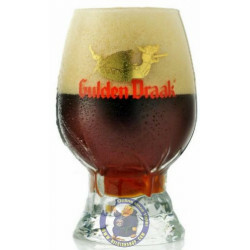 The unsurpassed Gulden Draak as dark tripel of 10,5% alcohol gets, after 25 years of growing success, quite an addition, the Gulden Draak 9000 Quadruple. All features of the Gulden Draak The extremely rich and complex taste sensation and the stable beer head can also be found in the Gulden Draak 9000 Quadruple. The sweet caramel touches, however, are still reserved for the Gulden Draak. 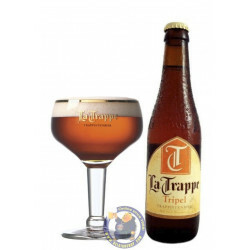 With addition of extra malt The new recipe, on basis of 3 different kinds of malt added in a volume of 4 times the content in lager, provide the Gulden Draak 9000 Quadruple with a deep golden amber colour and a fruity scent. 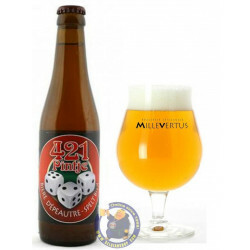 Together with the smooth and subtle sweet taste ensures this a wonderfully accomplished bouquet. 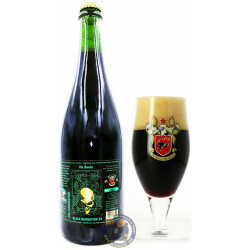 In line with the traditions of Brewery Van Steenberge Just like the other specialty beers of Brewery Van Steenberge is the Gulden Draak 9000 Quadruple a beer of high fermentation with secondary fermentation. 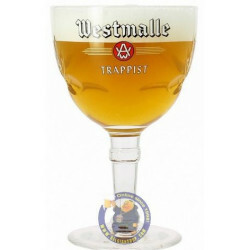 A wine yeast is used for the secondary fermentation, which also contributes to the grandiose taste.